You'll be £12.99 closer to your next £10.00 credit when you purchase Black Americans in Victorian Britain. What's this? 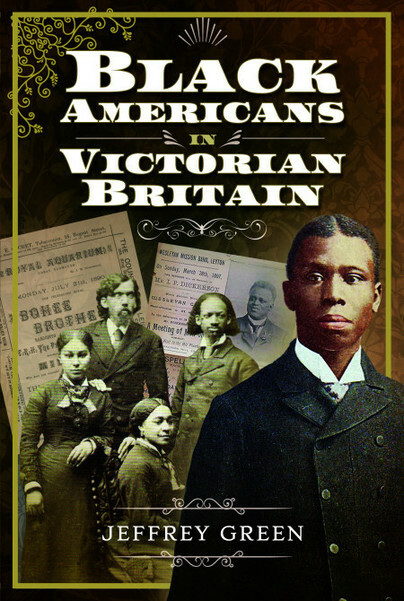 Historically overlooked, Jeffrey Green explores the African-American people who travelled to Britain to escape the horrors of slavery in America. I have not finished the book but I am captivated so far. It is an excellent history of black people in Victorian Britain. It's easy to read and informative with comprehensive notes, biography and index. I think it is an excellent book for students of black history and people who are researching their own family history. The book's cover has an immediate impact and you have to pick it up. The book is well written and describes the lives of the Black American's who visited and lived in Britain long before "The Windrush" generation. Good for students who want to study black history and the impact the persons made in Britain. Jeffrey Green, a Londoner born in 1944, has researched the black presence in Britain for over thirty years. He has contributed to reference books including the Oxford Dictionary of National Biography, and appeared on radio and television. He has travelled widely in the United States.